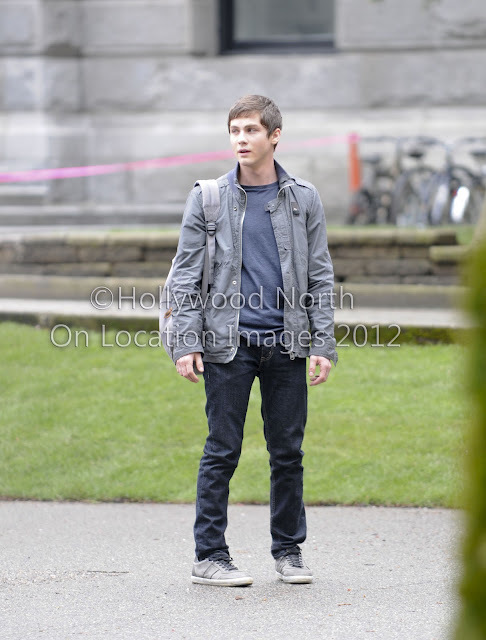 More images from the new Percy Jackson movie have surfaced courtesy of Hollywood North on Location. The crew is shooting in front of the Vancouver Art Gallery with some temporary grass sod in place. I’m not sure which seen from the book they’re filming, but Brandon T Jackson is on hand, confirming he’s returning as Grover the Satyr. You can see the rest of the images here.